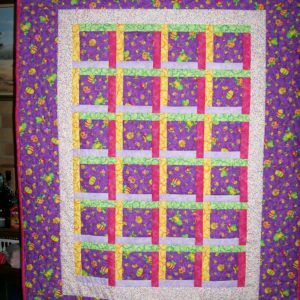 This quilt can be made from a set fabric range or a large selection from your stash. 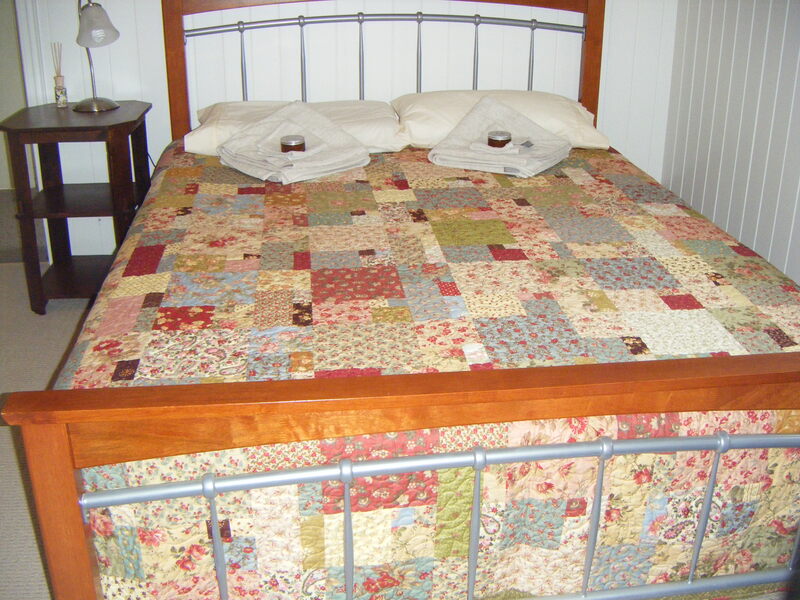 The sample quilt has had the lower corners left out and edge bound to enable the quilt to fit around the bed frame. 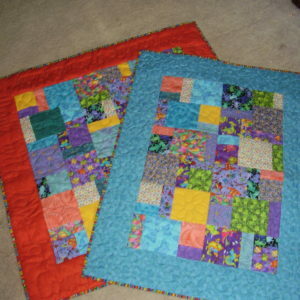 The instructions will show the corners still on the quilt.